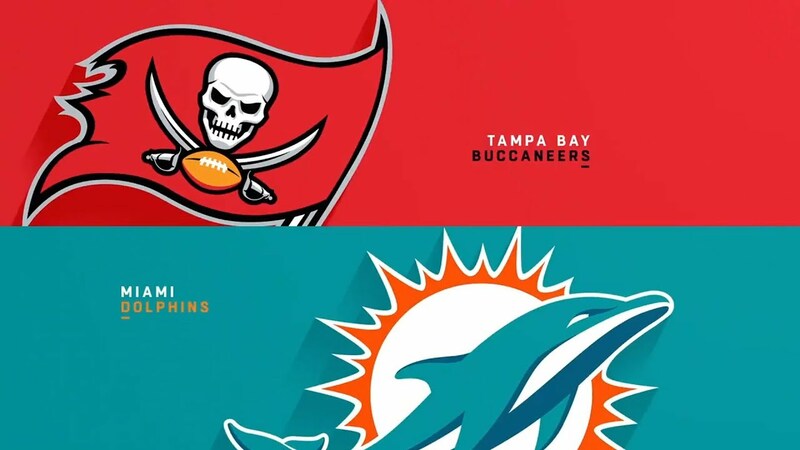 Tampa Bay Buccaneers 26, Miami Dolphins 24 (Close Finish) - 8/9/2018 - NFL - Are You Watching This?! 7-C.Catanzaro 26 yards Field Goal is Good. 14-B.Petty complete to 84-I.Ford. 84-I.Ford to TB End Zone for 2 yards. Conversion is good. 14-B.Petty complete to 84-I.Ford. 84-I.Ford runs 6 yards for a touchdown. 5-G.Joseph 48 yards Field Goal is Good. 7-C.Catanzaro extra point is good. 4-R.Griffin complete to 45-A.Cross. 45-A.Cross runs 10 yards for a touchdown. 7-J.Sanders 23 yards Field Goal is Good. 7-J.Sanders extra point is good. 34-S.Perry runs 7 yards for a touchdown. 7-C.Catanzaro 27 yards Field Goal is Good. 27-R.Jones runs 2 yards for a touchdown. 7-J.Sanders 29 yards Field Goal is Good. 25-P.Barber runs 4 yards for a touchdown.